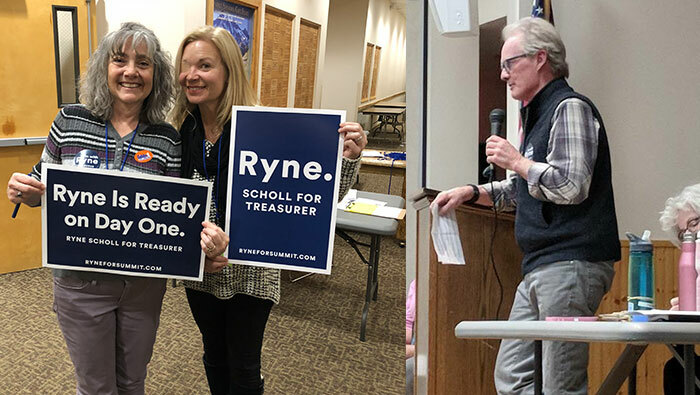 FRISCO, March 28, 2018—Candidate for Treasurer Ryne Scholl thanked delegates and supporters for delivering a decisive victory at the Summit Democratic Assembly Wednesday evening. Scholl was nominated by popular author, Councilman, and supporter Jeffrey Bergeron, who told delegates Scholl would “hit the ground running” come January. Scholl’s spouse Elisabeth Lawrence, seconding the nomination, reminded the audience that Scholl is the only candidate who saw through both the petition and this evening’s assembly process. In his acceptance speech, Scholl shared his campaign message that, as the current Deputy Treasurer, he is the only candidate who has the experience required to be Treasurer on day one, in reference to the fact January, when the new Treasurer will take office, is also one of the most demanding times. With his primary opponent’s last-minute decision to withdraw from the Assembly voting process, where a mere 10% of delegate support is required to stay on the ballot, it was a sign that Scholl had potentially locked up enough Assembly delegates to win the primary outright. 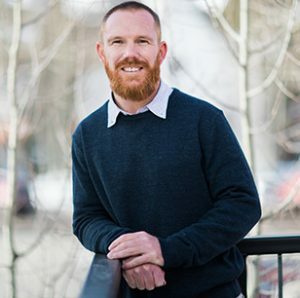 The June 26th Democratic primary is vote-by-mail and ballots will be delivered to both Summit County-registered Democrats and Unaffiliated voters who wish to participate.